Gold medals were given to Slobodan Rajić from Telecora Zagreb for the “Anti-Terrorist lock” invention, and Tomislav Juratovac from the company Pro-Hepro for “Helloquent Wi-Fi”. 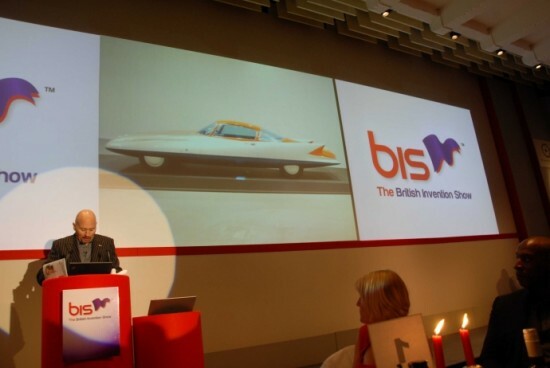 Poslovni.hr reports that six Croatian innovators and entrepreneurs won a total of 11 medals at the British Invention Show (BIS) held in London. The main prize of the fair went to Tomislav Bronzin from Citusa for his innovation “C@N PersonRecog – Gender & Age Group Recognition Software”, announced the Croatian Association of Innovators on Monday. In addition to the grand prize, Bronzin got a special award and a gold medal, and is the most successful exhibitor at this year’s BIS. Brothers Matej and Filip Bošnjak, in addition to their gold medal, also won the platinum, the second most valuable medal at the fair, for their innovation model for welding round objects. Their innovation was developed at the Technical School of Zagreb under the guidance of mentor Željko Blažek – later perfecting the final product at the family business E.T. Industrial Electronics. Furthermore, a gold medal and a special prize for design was awarded to the exclusive cosmetic “Nikel prive” by Mirjana Brlečić from the company “Priroda liječi” (Nature heals), while Melita and Mira Moćan from the company “Cosmel” were awarded a special prize and a gold medal for their product. Gold medals were given to Slobodan Rajić from Telecora Zagreb for the “Anti-Terrorist lock” and Tomislav Juratovac from the company Pro-Hepro for “Helloquent Wi-Fi”. The British Invention Show was held at the Barbican in the heart of the City of London. The event boasted many visitors and an international top-class jury, and was held from October 19-22.